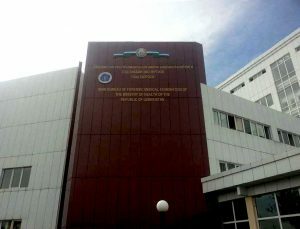 The main objectives of the study the Department of forensic medicine and medical law are carrying out scientific, methodical, scientific-methodical and research work on Neuroscience training of scientific, scientific-pedagogical personnel, usoveršenstvie, as well as the institutional, educational and educational works. In accordance with the objectives of the study the main objectives are to ensure the quality of training in accordance with State standards, depending on the training programmes, training of highly qualified personnel, competitive, high moral and ethical standards comparable with highly developed democratic countries. Tashkent, st.Farobiy 2. forensic medical examination branch-1 2-nd floor. Суд тиббий эксперт ўз мақсадлари йўлида қанча керак бўлса шунча файласуф, терапевт, жарроҳ, акушер ва юрист бўлиши лозим; бундан ташқари унинг маънавий ахлоқ сифатлари касбининг муҳимлигига мос бўлиши талаб этилади: – унинг ҳаёт тарзи намунали, адолатда барқарор бўлиши, руҳан тетиклик ва довюраклик, фикрлашда қатъийлик, ҳақиқатга интилиш бўлиши лозим.